Dzhokhar Tsarnaev in an FBI handout photo. Accused Boston Marathon bomber Dzhokhar Tsarnaev’s lawyers have asked the judge in the case to determine if a flood of leaks and public comments by law enforcement officers are prejudicing the defendant’s right to a fair trial. Since the case is related to what’s been called the worst terrorist attack on U.S. soil since 9/11, the stakes of the trial are as high as they are emotional. But how much of what we know about the bombing comes from leaks to the media instead of the normal public channels surrounding a criminal case? Tsarnaev’s lawyers in a May 2 motion argue that the media has been made privy to secret grand jury testimony not yet revealed to them by prosecutors, and want the judge to probe those leaks in a hearing. Starting the week after the Boston Marathon bombing, WhoWhatWhy has been investigating and questioning the public narrative put forward by the authorities about the attack. Our exclusive reporting has shown you serious inconsistencies in the official story, and highlighted law enforcement’s heavy reliance on the testimony of a single witness to pin the blame on Dzhokhar Tsarnaev and his dead brother, Tamerlan. We’ve told you about the FBI’s rough handling of people connected to the Tsarnaevs, and the agency’s later admission that it had been monitoring the two. April 21, 2013: As we previously reported, someone in law enforcement leaked a copy of a Cambridge police report to the Wall Street Journal that describes the carjacking victim’s initial testimony to police. April 22, 2013: ABC affiliate WCVB reported that an unnamed law enforcement official told them that Middlesex County investigators are checking leads to see if Tamerlan was involved in a triple murder in Waltham, Mass., on the 10th anniversary of the 9-11 attacks. This anonymous official, without having to present evidence, associated Tamerlan Tsarnaev with the slayings. April 23, 2013: Within days of the bombing, anonymous law enforcement officials told CNN that the brothers acted alone and were self-radicalized by the internet. On the same date, CNN reports that an anonymous law enforcement official said that the brothers bought fireworks from a store in New Hampshire prior to the bombing. They were quick to point out that the amount of gunpowder purchased was not enough to make a bomb, but the idea that the Tsarnaevs had been playing with explosives was further cemented in the public debate. May 10, 2013: The triple murder association surfaces yet again in an ABC News report citing an unidentified law enforcement official that spoke of “mounting evidence” of the brothers’ involvement. The official was careful to hedge, cautioning that it was too early to consider an indictment against Dzhokhar until definitive DNA testing was complete. May 16, 2013: Former FBI spokesman John Miller, now a CBS reporter, describes Dzhokhar Tsarnaev’s written “boat admission,” citing an unnamed source in the FBI. The message described by Miller amounts to a full confession to the bombing and paints Dzhokhar as a warrior in a jihad against America. July 18, 2013: Massachusetts State Police photographer Sgt. Sean Murphy leaks photos to Boston Magazine showing a battered and bruised Dzhokhar leaving the boat in Watertown. Murphy was angry about a Rolling Stone cover photograph that he felt glamorized the alleged terrorist. As a result of the unauthorized leak, Murphy was relieved of duty. 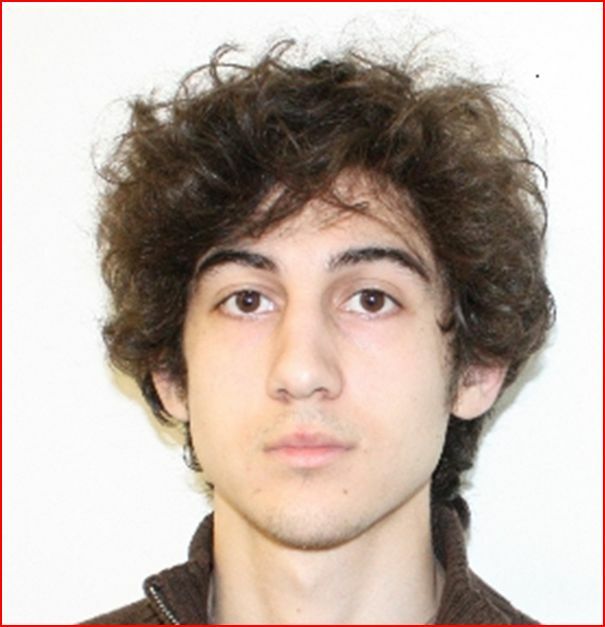 Feb 28, 2014: The prosecution publicly claimed that Dzhokhar made a “compromising statement” while talking to his sister in jail. His meetings and telephone calls are monitored by the FBI. The story was widely disseminated by the press before the defense team was able to respond. April 9, 2014: The Los Angeles Times reports that Tamerlan tried to change his first name to that of a now-dead Islamic militant from the Caucasus region. It cites a leaked Department of Homeland Security document. April 13, 2014: The FBI now claims that a media threat to publicize pictures of the suspect—leaked by one of their own agents—forced them to release the photos earlier than planned. April 17, 2014: ABC News reports that it was given a photograph of the message Dzhokhar allegedly scrawled on the inside of the boat prior to his capture, in which he admits his guilt. The source once again is unidentified.